1. Depreciation has already been paid. A daily driver vehicle is not an investment. A new vehicle depreciates at least 22% the day you drive it off of the lot. The maintenance and repair is the investment, prolonging the life of the vehicle, saving you money. 2. Insurance is cheaper. Most new vehicles cost as much as 50% of a modest home and cost almost as much to insure. 3. Cheaper annual registration/taxes. In most states, the age/value of the vehicle determines the yearly tax. The older the vehicle, the cheaper the tax. 4. Cheaper maintenance and repair costs. The price of parts are more expensive for newer vehicles. Repair labor costs are generally higher on newer cars, because of the amount of time it takes to diagnose and access broken parts. In short, ALL vehicles, new or used, need maintenance and repair, roughly to the tune of $1100 annually. It gets down to a personal decision of adding hundreds of dollars per month more in principle & interest, insurance, and taxes. 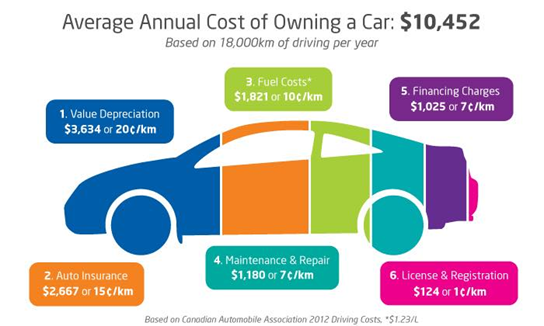 If you just really enjoy driving a new car with more gadgets than a jet, then these numbers will not matter to you. As a consumer, you get to spend your money as you wish. If you would rather save hundreds of dollars per year, then it is cheaper to repair vs. replace.